The undergraduate program of Mechanical Design & Manufacture and its Automation was being subjected to peer review charted by the Ministry of Education from Nov.12 to 14. At the first meeting Monday, Prof. Liu Shengxue, vice president of teaching extended his warmest welcome to the mission led by Dr. Zhang Xinmin, a professor from Henan University of Technology, and gave the guests a brief introduction to the University. 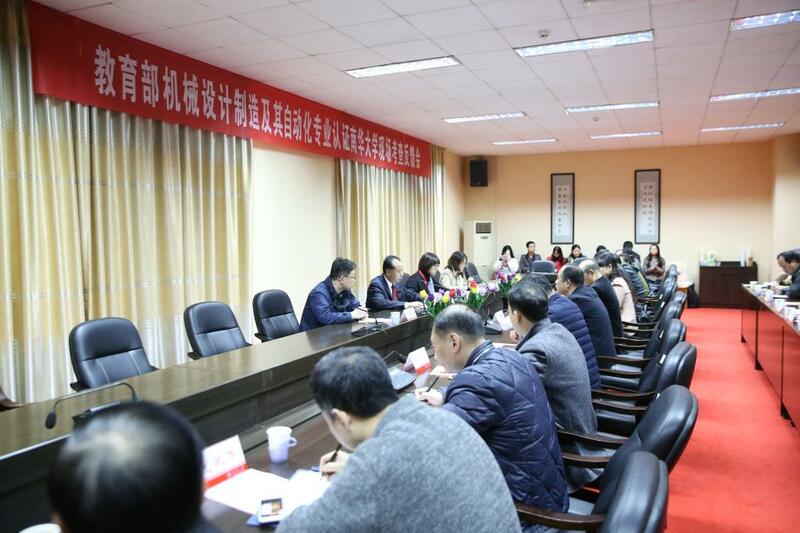 Prof. Li Biwen, the responsible leader of the program, made supplementary remarks on the points which were not elaborated in the self-review report. Questions on teaching staff, the laboratories and enrolment were also answered. In the following one day and half, against the self review report, the mission conducted a thorough review of the program by campus touring, class observing, file checking, and individual talking. They also interviewed the representatives of the alumni and the employers and inspected the practice base out of the campus. At the feedback meeting Wednesday, the peer review mission spoke highly of the construction of the program, highlighted the achievements and pinpointed the shortcomings.